[15pcs left!] 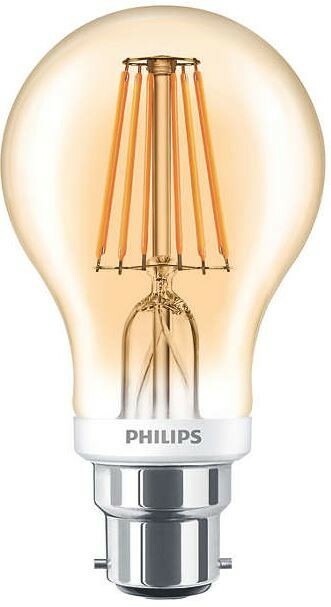 Philips Classic LED Dimmable Filament GLS A60 7.5W=48W B22 Bayonet, GOLD flame colour in Extra Warm White 2000K: featuring a classic heritage design, Classic filament LED Lamps combine the familiar shapes of classic incandescent bulbs with the benefits of the long lasting LED technology. They deliver beautiful, decorative warm-white light while saving around 90% on energy costs compared with traditional light bulbs. It can deliver huge energy savings (over 80% savings) and with a rated lifetime of 15,000 hours, minimises maintenance costs without any compromise on light quality. 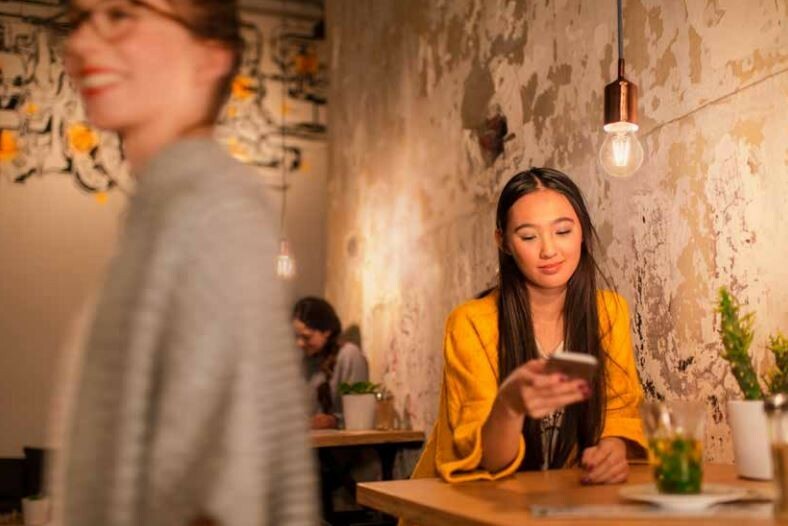 Can be used together with most leading-edge dimmers, enabling further efficiencies to help customers recoup their investment in less than 1 year. Furthermore there is no harmful UV or IR in the beam. 15pcs left!] 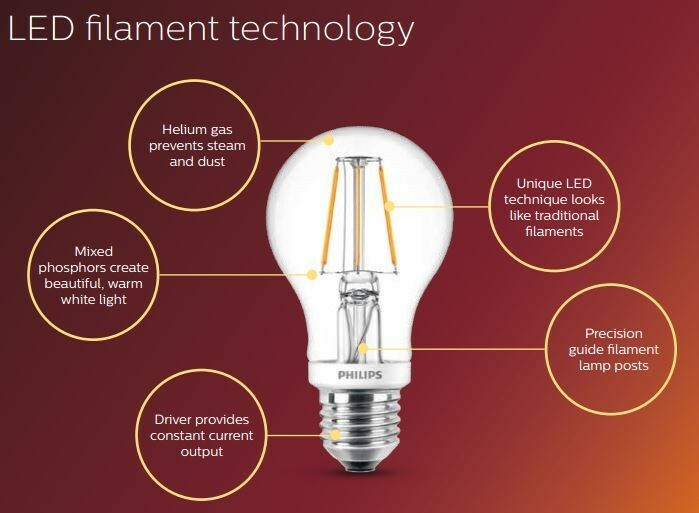 Philips Classic LED Dimmable Filament GLS A60 7.5W=48W B22 Bayonet, GOLD flame colour in Extra Warm White 2000K: featuring a classic heritage design, Classic filament LED Lamps combine the familiar shapes of classic incandescent bulbs with the benefits of the long lasting LED technology. They deliver beautiful, decorative warm-white light while saving around 90% on energy costs compared with traditional light bulbs. It can deliver huge energy savings (over 80% savings) and with a rated lifetime of 15,000 hours, minimises maintenance costs without any compromise on light quality. Can be used together with most leading-edge dimmers, enabling further efficiencies to help customers recoup their investment in less than 1 year. Furthermore there is no harmful UV or IR in the beam.